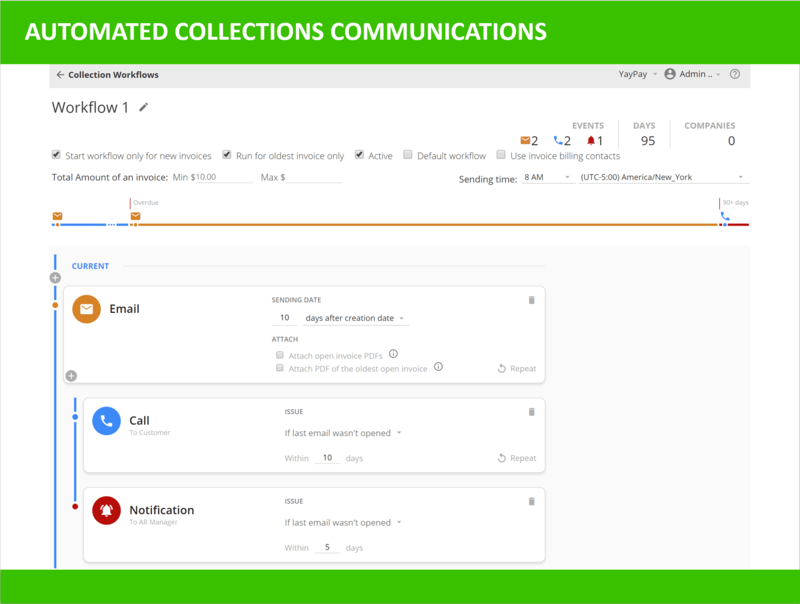 YayPay is an easy-to-use, cloud-based predictive accounts receivable automation solution that leverages machine learning and automatic payment communications to accelerate collections. You can replace all of your emails, post-it notes, and excel spreadsheets with YayPay’s centralized CRM system for AR collections and management. 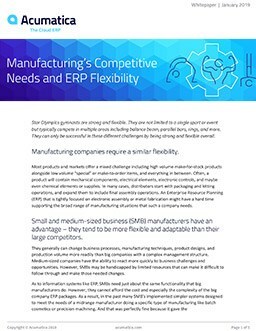 YayPay is intuitive enough for small businesses, yet robust enough for enterprises. 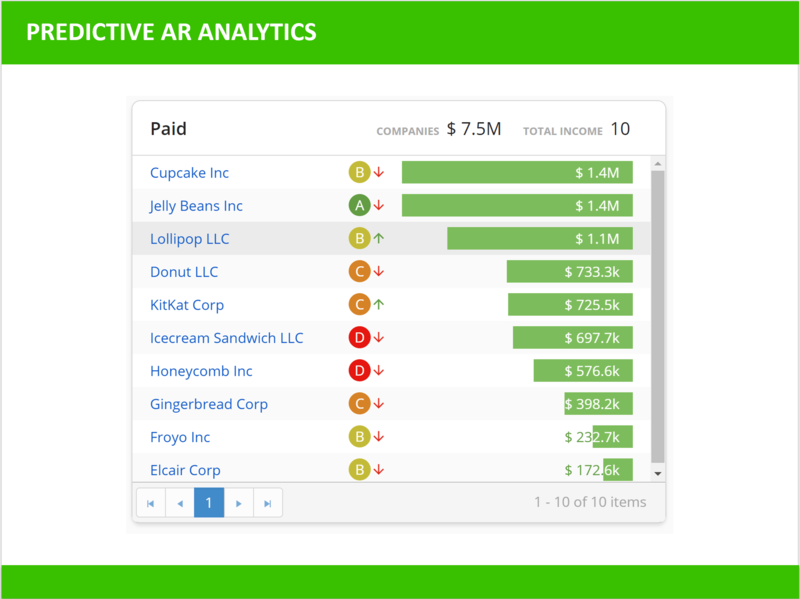 Gain visibility at the click of a button to your AR pipeline health, priority accounts that need attention, and cash flow risks. Now, all AR tasks and reporting can be run by a single easy-to-configure administration console. 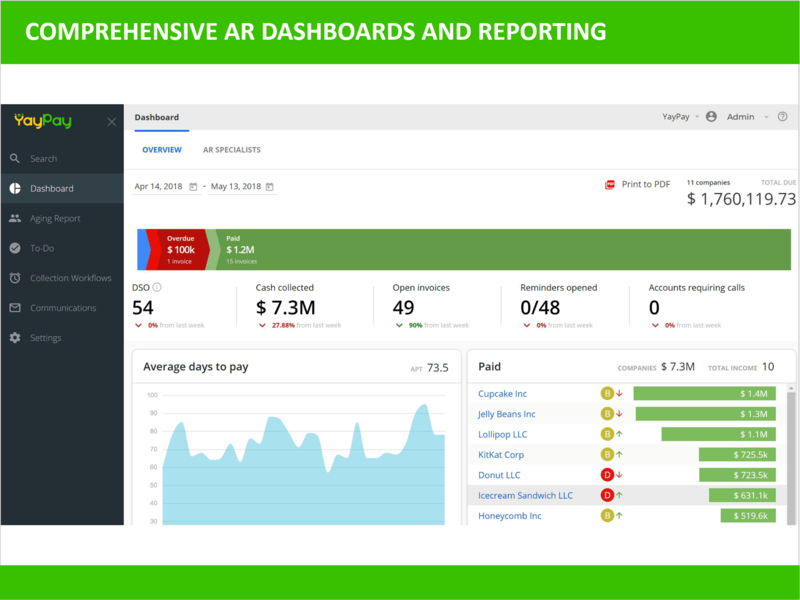 YayPay integrates with Acumatica, plus billing, and CRM applications, for a complete look into the collections process, and helps organizations better predict cash flow and increase revenue. 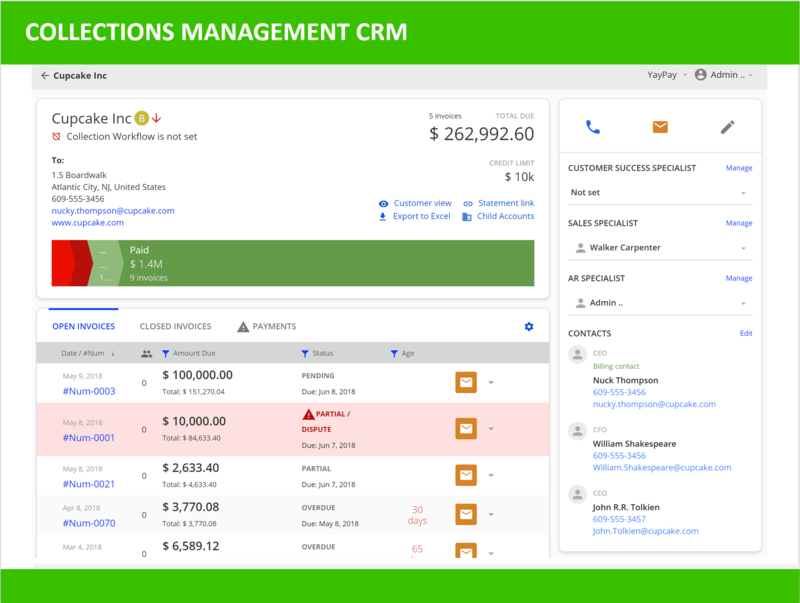 If an integration does not exist, the YayPay REST API allows a business to seamlessly connect all business applications and CRM technologies and provides a unified collection automation experience for the customer. YayPay makes collecting money fast, easy, and highly predictable.